It is nearing the end of 2018 and if you are in Monero, you are still an early adopter. The early adoption phase can be exciting, but things can move quite quickly and nefarious people can take advantage of those who are not utilizing best practices to stay ahead of the curve. Congratulate yourself for truly being an early adopter, and consider the best practices listed here in order to stay informed and keep your Monero safe and secure long into the future. 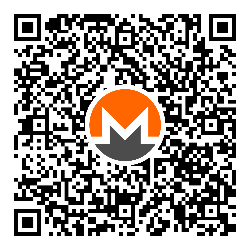 Your Monero wallet/s is your encrypted digital vault that contains your XMR and keeps it safe. If you want to make sure it stays that way, there are a few best practices you’ll want to follow in order to keep your wallet/s secure as possible. ‘Hot’ Wallets are wallets that are connected to the internet, while ‘cold’ wallets are not. Cold wallets are generally more secure, but they come at a sacrifice to convenience. A ‘hard’ wallet, like the popular Ledger or Trezor, might be viewed as the middle ground between hot and cold wallets because you can connect them to an internet connected device in order to send/receive, but when disconnected they are not accessible via the internet. Only use wallets approved by the Monero community in order to avoid scams that might steal your XMR. Do your research before setting up any wallets. If setting up a cold wallet (one example is a “paper” wallet) for long term storage, be sure to do your research and follow one of the tutorials online that have the strongest and most positive reviews/comments. Consider keeping a cold wallet for XMR you plan on holding for a while, and a hot wallet for XMR you plan on spending or trading. Think: cold wallet=savings account, hot wallet=checking account. Research the variety of ways people keep their private keys or mnemonic seeds safe and secure, then chose the option that works best for you. Having any strategy is much better than none at all. Are you seeing yet that research is important? Follow other best practices here like never share your private keys, only use reputable exchanges, update your wallet/s after every network upgrade/hard fork, don’t talk about how much XMR you have, and always seek to learn more! Exchanges can be a convenient way to sell or buy more Monero, but not all exchanges are created equally. Here are a few things to keep in mind when it comes to keeping your XMR safe while using exchanges. Are there positive reviews available through third-party sources? Are they reliable? Has it ever been attacked? Was the response to the attack appropriate? How long has the exchange been in operation? Are the creators/managers known or reputable individuals or entities? Are you able to maintain your privacy by not sharing any personal information? Does the website use security precautions like captcha, 2FA, etc? Does it have legitimate security certificates and start with https://? If you plan on reporting taxes (recommended), does the exchange allow you to download reports for easy proof of buy/sell transactions? Exchanges create their own wallets for you. You are not likely to have access to the exchange wallet’s mnemonic seed. If the exchange ends up getting attacked or proves to be a scam, you may lose whatever XMR you have on the exchange’s wallet. A good rule of thumb is to only keep XMR on an exchange if you plan to use it soon. Otherwise, move it to a wallet that you control. If you want to trade a significant amount of XMR over an exchange, consider testing the transaction by trading a smaller amount first. This test amount should be no higher than you would be comfortable losing. With any XMR transaction, always double-check the send/receive wallet addresses to make sure they are correct. Even if you copy/paste the address, confirm it was pasted correctly, as there are known attacks that will manipulate a cryptocurrency address when it is copy/pasted. If your device was somehow infected by that malware, a simple double-check to confirm it pasted properly is all you would need to protect your XMR. As time goes on, decentralized exchanges will become more common. With Monero being a decentralized cryptocurrency, these exchanges are aligned with the ethos of Monero. Consider using them, but as always, do your research first! Monero is a completely decentralized, open-source project. Anyone with a good idea and some initiative can create and lead a project in support of Monero. If you are not a developer and interested in supporting Monero in other ways, there are many options. Monero projects organize themselves into various workgroups. There is a Localization workgroup focused on translating all Monero content to help spur adoption throughout the world, an Outreach workgroup focused on creating tools to facilitate better public relations and greater adoption of Monero, and even a workgroup focused on developing a hardware wallet for Monero. Others exist too. If you are a developer, you can join a few hundred other developers to date who have contributed to Monero’s code, via GitHub. The first stop when it comes to community workgroup participation is the Community workgroup, which focuses on organizing all of the other workgroups. They will be able to tell you if your idea has already happened and which people to work with to take it even further. Or if your idea is brand new, they will connect you with some resources to help facilitate your idea coming to reality. Monero’s Core developers have provided us with a handful of tools to help enable successful workgroups, including Mattermost for communications and Taiga for project planning and task flow management. Individuals can also participate through lively discussions that happen on several different Slack and IRC channels, through many different Telegram group chats, on Reddit via r/Moneroor the many subreddits dedicated to niche areas of Monero (like mining or speculating), and by asking or answering questions about Monero on Stack Exchange. The only barrier to you participating in the community is you. We invite you to join the cause and make this decentralized, open-source community even stronger! Adam comments to Eve in a public comment on social media that he just bought 30 XMR. Badguy sees Adam’s comment and decides he wants those 30 XMR. Badguy scans Adam’s social media profile to learn all about him and with the information he gleans, is able to crack Adam’s password for his email account. Badguy then learns of other accounts Adam has and traces Adam back to his physical location via IP address. From that point Badguy can utilize a plethora of attacks to highjack Adam’s XMR remotely. Or if he lives close enough, Badguy can physically show up to Adam’s house, steal his computer, and take all the time he needs to crack into Adam’s Monero GUI wallet and send all of Adam’s XMR to his very own Badguy wallet. If Adam hadn't of said anything, he wouldn't have been a target at all. Obviously this is an exaggerated example, but in reality there are dozens of scenarios in which information you share can make you a target, and even more examples of how attackers can use that to their advantage and make you their next victim. Advocating for Monero and teaching new users about its many uses is one thing, boasting about how much XMR you own is another. It is advised to stick to the former and avoid the latter at all costs. Don’t talk about how much Monero you have. Your Monero is safe, as long as your private keys and private mnemonic seed is safe. Your private keys and your private mnemonic seed are the only way you can access your wallet and spend/send your XMR. If you share them, then whoever you share them with (or whoever has the technical expertise to steal them from who you shared them with), has just as much access to your wallet as you do. You may think you are doing a good thing by keeping your private keys separate from your physical location, but what if grandma forgets your instructions and leaves them on the windowsill and a stranger walks by and reads (records) them? Then you wake up one morning and all of your XMR was sent to an unfamiliar address. Since Monero is so private, you will have no way of finding out who owns the unfamiliar wallet and you will not be able to recover your missing/stolen XMR. Sometimes other cryptocurrency projects will hard fork the Monero code then claim you will receive 10x coins, and “all you have to do to claim your 10x coins is share your private keys”. If you come across this, don’t touch it with a 100 foot pole. Not only are they probably trying to scam you, but they also may be trying to compromise the integrity of Monero as a whole. Scammers depend on your greed to do many nefarious things. Don’t let that happen to you or to Monero. The only thing you should ever share is your view key- and only if you want to be able to verify transactions going to your wallet for others to see. If that is of no use to you, then don’t share any keys. If someone is claiming they need anything besides your public wallet address (or in some cases your view key), they are probably attempting to scam you and steal your coins. Long story short- never share your private keys. 1) Network Upgrade/ Regularly Scheduled Hard Fork- Monero developers aim to schedule two regular hard forks per year. These hard forks are always done by community consensus and led by Monero core developers. They typically include several improvements to the code, making Monero even better/faster/stronger. It is imperative as a Monero user that you upgrade your Monero wallet/s every time this occurs, and it is no one’s responsibility to do so but your own. No one said being an early adopter was easy, but if you are paying attention, it’s not hard either. Other projects in the past have used Monero’s regularly scheduled hard forks to their own advantage and renamed their own projects on Monero’s old chains. These projects often fail in short time, and feed upon the greedy nature of individuals. If you fail to update your Monero wallet/s after one of these hard forks and send your XMR, you may end up losing them on a different chain or having to spend a significant amount of time trying to recover them. It is best to just upgrade your wallet/s after every regularly scheduled hard fork/network upgrade. Safety level: Upgrading your Monero wallet/s after these hard forks is your safest option and is recommended. Please proceed in a timely manner. Yes using their own development lessons learned to ‘give back’ to Monero by sharing them ‘upstream’ with the core Monero development team. Safety level: If it is a legitimate coin, you will not be required to do anything with your existing Monero wallet/s to access it. Instead, you will be able to mine or buy them on your own. Proceed at your own best judgement. 3) Scam or Attack Hard Forks- These projects will look like the opposite of what was mentioned in the legitimate project category. They will likely have a pre-mine where only developers will receive a few thousand or million coins. They may require you to share your private Monero keys in order to ‘claim’ the new coins. There will likely be many negative posts by savvy Monero users who are sounding the alarm against the malicious project. They will have no intention to give back to the Monero community and may even be blatantly challenging it with hostile language. These projects are motivated by greed, both on the side of the developers and on the side of the users (read victims). In some cases, particularly in the case of projects asking individuals to share their private keys, they may be a deceptive attempt to attack the Monero network itself and weaken the privacy/anonymity of its users. Safety level: Strongly recommended to avoid these coins. Proceed at your own risk and in some cases, be aware you may also inadvertently weaken the Monero network through your participation in these coins. As of the time of this writing, common assumptions say a vast majority of the Monero community consists of early adopters who are more technologically savvy than an average layperson. Monero code has been worked on by a few hundred developers, which is many more than most crypto projects can claim. Some speculate one reason Monero price has not grown closer to Bitcoin is because the technology behind Monero is hard for laypeople to understand and comprehend its significance. But we early-adopters continue to march forward in hopes of Monero becoming more widely recognized and adopted. Monero 100 years from now will still depend upon people, people like you, working to safeguard its ecosystem and advancing the code even further. These are all reasons why we recommend people should always seek to learn more, especially if you’re not a developer. You can strengthen your ‘Monero literacy’ by consuming as much information as you can. By learning more about Monero’s features, the code, the open-source cypherpunk ethos that started it, and ways to improve security and privacy while using it, together we can make the Monero ecosystem even stronger. By having a strong grasp on all the aspects of Monero, you will also be able to speak to others about it and help drive greater adoption. You will feel more comfortable and confident while storing, using, and transacting XMR. Knowledge is power and it can change the world. Always seek to learn more… and do your own research! The future starts with you.